In the Beginning... 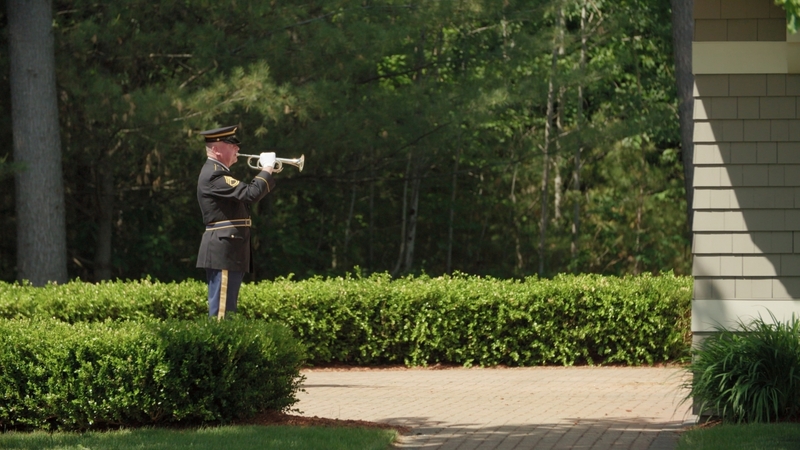 The NH State Veterans Cemetery has become a living memorial. Family, friends, veterans groups and students from local schools come to visit, see and learn about the generations of veterans buried here. Soon after the Cemetery’s opening we recognized the importance of providing a resource to the public to facilitate education about our honored veterans and the crucial role they have played in securing our freedom. Thus, the idea of the Veterans Heritage Learning Center was born. 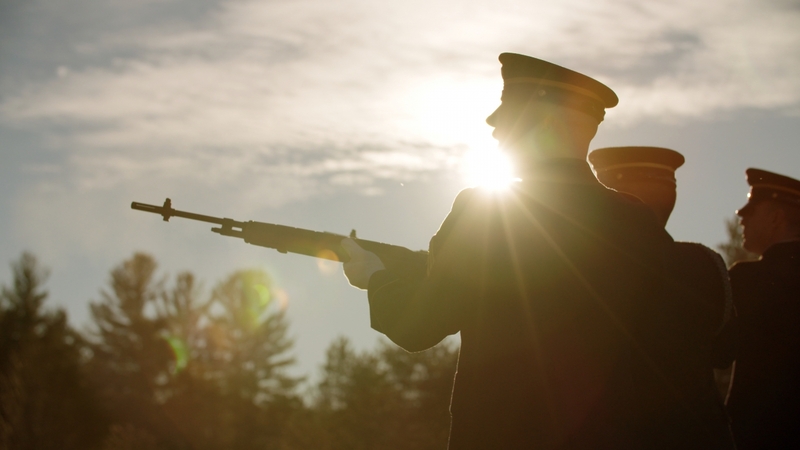 New Hampshire has a long and proud military history dating back to the 1600’s. Over the course of almost four centuries, one in every ten Granite Staters has served in our nation’s military. New Hampshire’s history of military service is significant and needs to be shared with all generations, from the very young to the very old. The Association advanced the Learning Center project start - up funds in order to support the early planning and design of the various aspects of the Center including the development of a documentary film ("A Living Memorial"), internal interactive and static exhibit plan, and construction of the Learning Center core. The 1200 square foot Learning Center attached to the back of the current Administration Building will house kiosk exhibits of NH heroes, a multi-media "Foot Locker theater" featuring hands-on exhibits and military items from various wars and services, interactive learning and a “Journey of the NH Soldier” time line. An interactive “NH Veterans Serve” Touch Table will be located in the middle of the Center where visitors may explore NH military units and their participation in wars and campaigns throughout our history. The Center is designed to be multi-functional, where the portable display walls and Footlocker seating can be moved to open the area to host meetings or a more traditional classroom configuration. 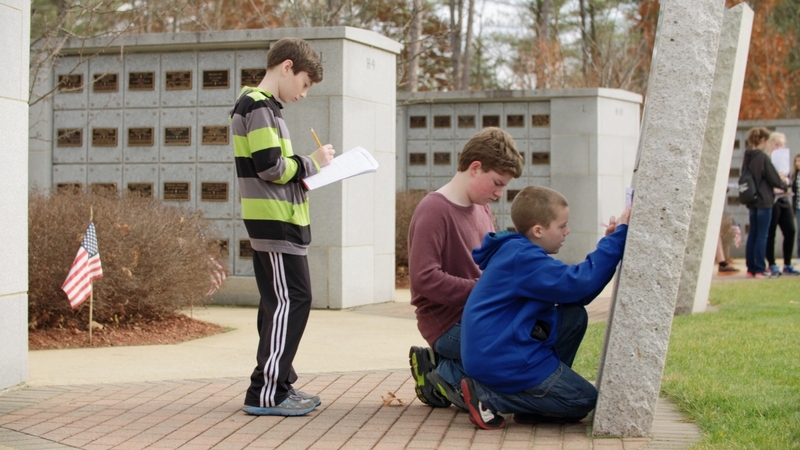 The Center plans to be part of a New Hampshire historical curriculum (which the Center will assist in designing) and connect to a larger network of historical sites throughout the state to form a network of educational opportunities for teachers and students when planning excursions outside the classroom. 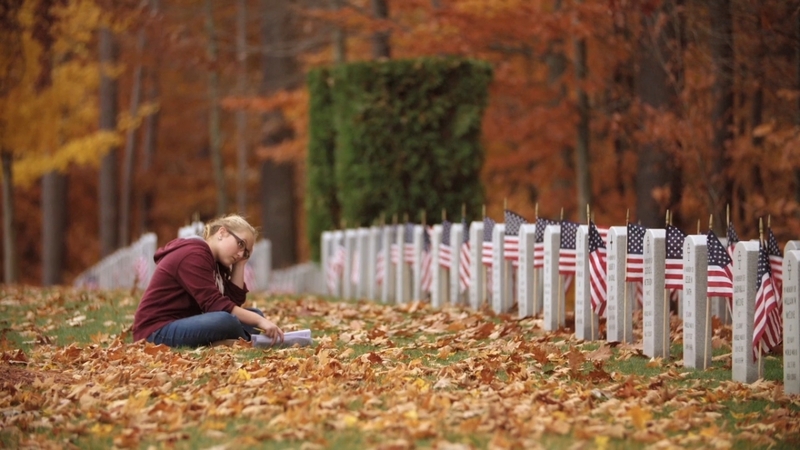 Visitors to the Cemetery, including over 600 students annually, currently learn about and make personal connections with the over 10,700 NH veterans and family members buried on the grounds. 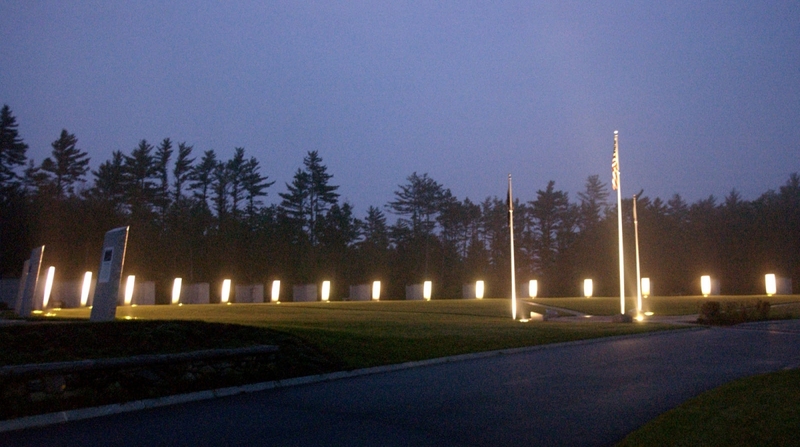 Through the 20 Points of History constructed in 2000, and updated in 2015, along with the Memorial Walkway, visitors gain knowledge of New Hampshire veterans who have served our country. 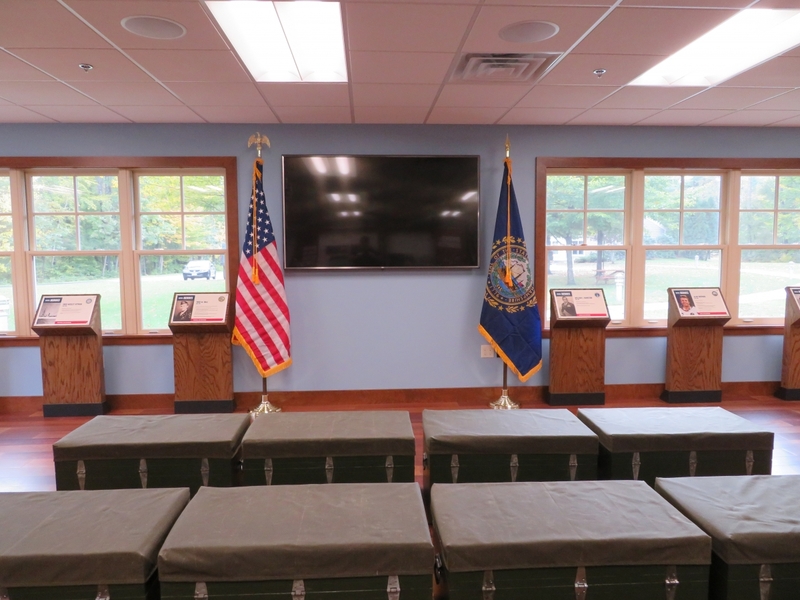 The new Veterans Heritage Learning Center will expand these educational opportunities by creating an interactive “classroom”, enhancing and connecting the history and events inside the Center with the stories of those interred, making real, the history of NH and our country. The State of New Hampshire owns the building in which the Veterans Heritage Learning Center resides. The Association is responsible for planning any improvements to infrastructure as well as supporting operations that benefit the Cemetery. Once a project is approved by the State, the Association is responsible for raising funds from the private sector to support enhancements and program. The plan is to create a flexible schedule for the Veterans Heritage Learning Center to be staffed and functional as soon as possible for students, educators and visitors. Future programming and operations for the Center will be supported through donations to the Learning Center and an endowment fund to sustain operations. Association leadership expects the number of students visiting the Center to triple within 3 years and the number of schools participating to expand substantially. 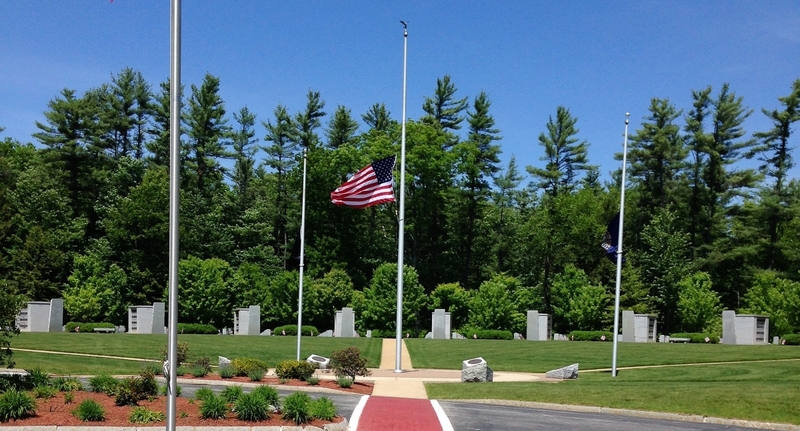 To complete the Veterans Heritage Learning Center, NH Veterans Cemetery Association has undertaken a $700,000 building campaign to complete both the building and exhibits that will be installed within the Learning Center. The Association hopes to complete this campaign by the Spring of 2019. The Learning Center was officially opened to the public on November 11, 2018 to coincide with the 100th Anniversary of Veterans Day. Individuals, families, businesses and foundations are encouraged to contribute to this campaign in a variety of ways, including cash contributions and gifts of marketable securities. We are always happy to discuss naming opportunities and special giving recognition with donors throughout the campaign. Pledges may be paid over a three –year period. Tributes and/or memorials are encouraged. Over 250 donors have contributed to the campaign to date. There are still some select naming opportunities available. Please contact us at nhvcainfo@gmail.com for more information on how to donate to reserve an exhibit. ANNUAL PLEDGE: For those wishing to donate to the Veterans Heritage Learning Center campaign and spread the payments over a period of up to 3 years. 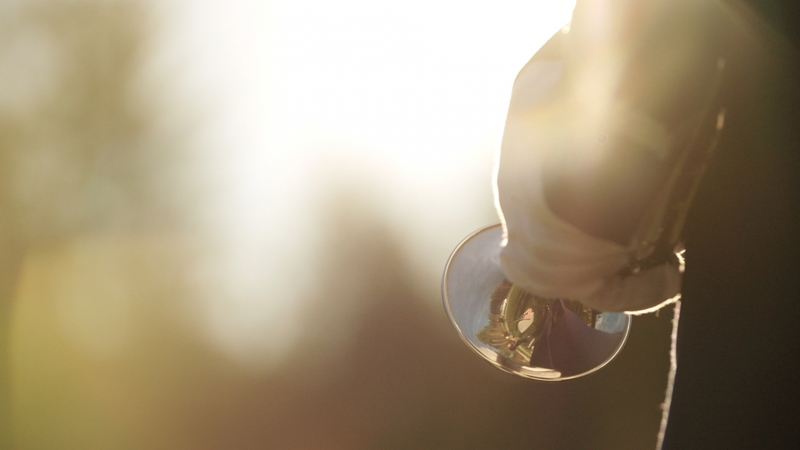 We accept pledge commitments with payment options of Quarterly, Semi-annually or annually. To pledge your donation to the Veterans Heritage Learning Center, fill out the easy form and mail it in with the initial payment. <= Corporate Donation/Pledge Form - Click on the form icon and download the PDF form. ONLINE: Donations can be made online by clicking on "Donate" at the top right of the screen and entering the amount you wish to donate in the box on the right. Your credit card will be billed the amount you provide through a secure banking service and you will receive a confirmation of your donation via email. 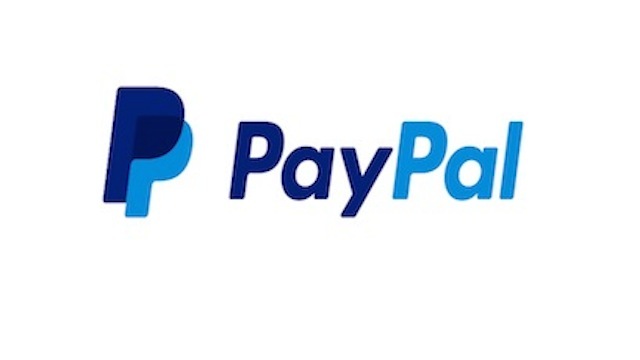 PAYPAL: If you have a Paypal account, you can now donate via Paypal. Click on the "Donate button" below to go to the donation page. ** Be sure to put "Veterans Heritage Learning Center Donation" in the memo field of your check. We thank you in advance for your consideration to donate or sponsor the Veterans Heritage Learning Center. By donating to this project, your contribution will assist in our goal of bringing a continuing awareness to our Military heritage and all our Veterans who have served with honor and distinction. <= Check us out on Facebook!